Is it spot on about this one? Is there any truth in Bloom's burning? 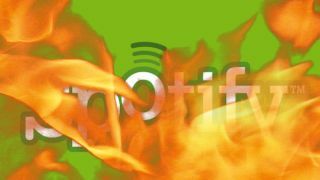 Spotify spent a bit of time yesterday raving about how it's leading the way on piracy by offering a "great service". But over in London at a debate on the future of music streaming, attended by Google, Universal music and UK streaming app Bloom.fm, the story was a little different. According to Oleg Fomenko, CEO and co-founder of Bloom.fm, no matter how good a service might look or feel, a lot of people just aren't willing to shell out for the full subscription - we need a wider range of payment plans. "It's clear that people are not going for it," said Fomenko, addressing the fact that music piracy is still a problem. "Right now if you're on a mobile device, the choice you have is either be on free or pay £120 a year," he said on services such as Spotify. Music streaming app Bloom launched earlier this year with a tier-based subscription. People can access genre-based radios for no price at all, while subscription levels then go up from £1 (about $1.64, AU$1.81) to £10 (about $16.36, AU$18.14). "We need to give people a tiered proposition that will allow them to start paying an amount of money that they can afford," Fomenko added. While it was one way to big up Bloom, Fermenko's words were also meant as advice for the streaming industry at large. "We're going for an audience that has been historically accused and noted to be using piracy more than anyone else," said Fomenko. "Let them move from one level to another as and if they feel that it is right". Will Spotify Shuffle help reel in some more subscribers?